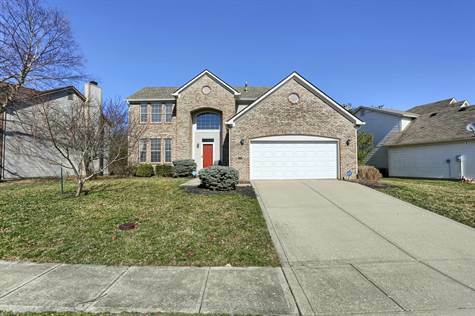 "Carmel Home-Ready to move in"
A unique opportunity in Shelborne Greene for a house with a finished basement. A beautiful, well-maintained 4 BR, 2.5 bath home situated near the community playground, park, and pool. Main level is covered with laminated hardwood with access to the backyard and a nice composite deck. Basement is finished with a large play area that can stay or be removed if buyer prefers. In addition, there’s a storage area and a mechanical area that includes a Radon mitigation system and sump pump with a newer pump and back-up system. Come be part of one of the most attractive and affordable neighborhoods of West Carmel with easy access to I-465 and many shopping areas. Water Heater is about a year old. Play area in the basement can stay or removed by Seller. A security system can be transferred to Buyers. Water softener included.